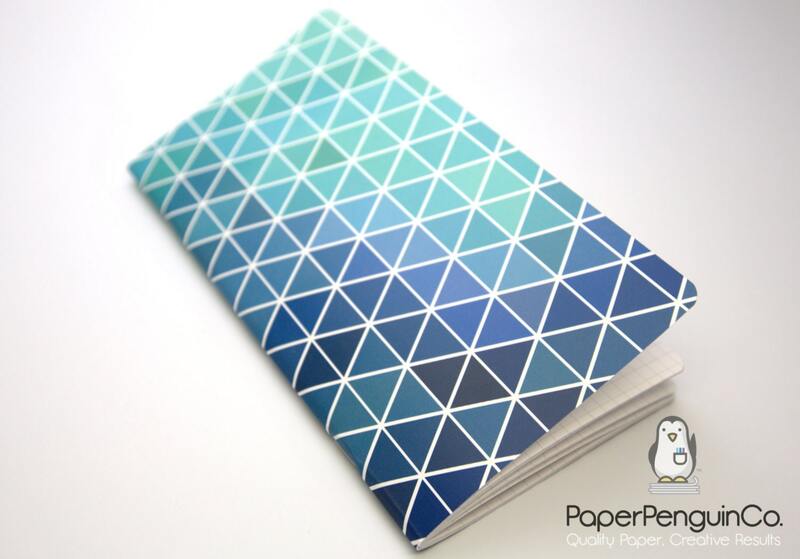 The Geometric Blues White Cover Cardstock Notebook provides a simple, traditional cover with 40 pages of quality writing paper. 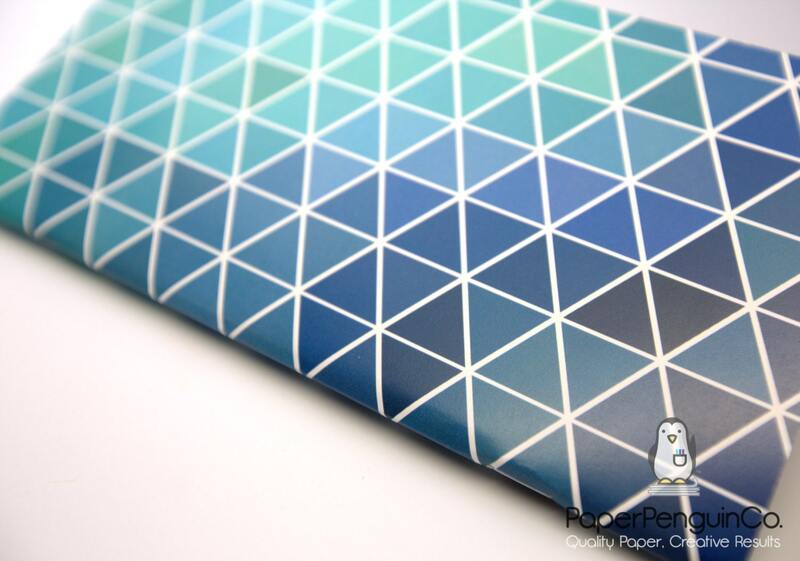 The paper is bleed-resistant, feather-resistant and fountain-pen friendly. 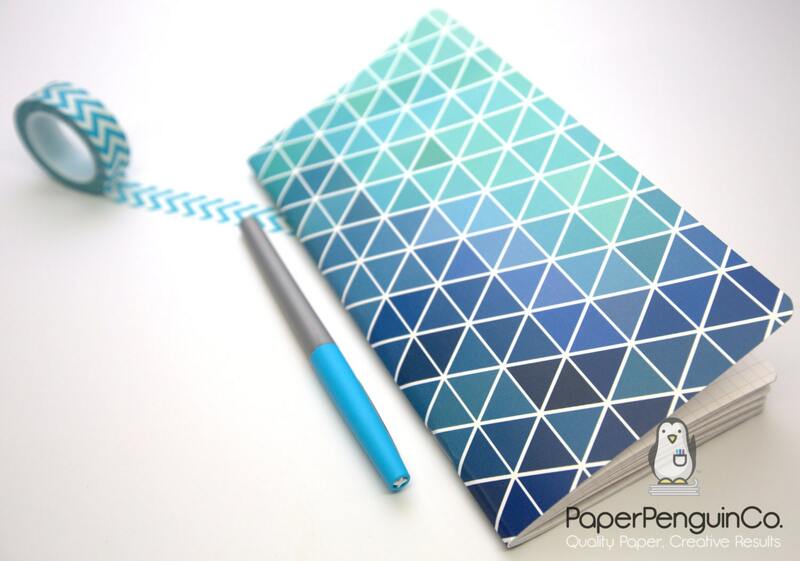 This notebook can be used as a bullet journal, notes booklet or daily diary! It fits perfectly in all sizes of Midori Traveler's Notebook / MTN insert. Well made insert. Packed nicely and arrived quickly. 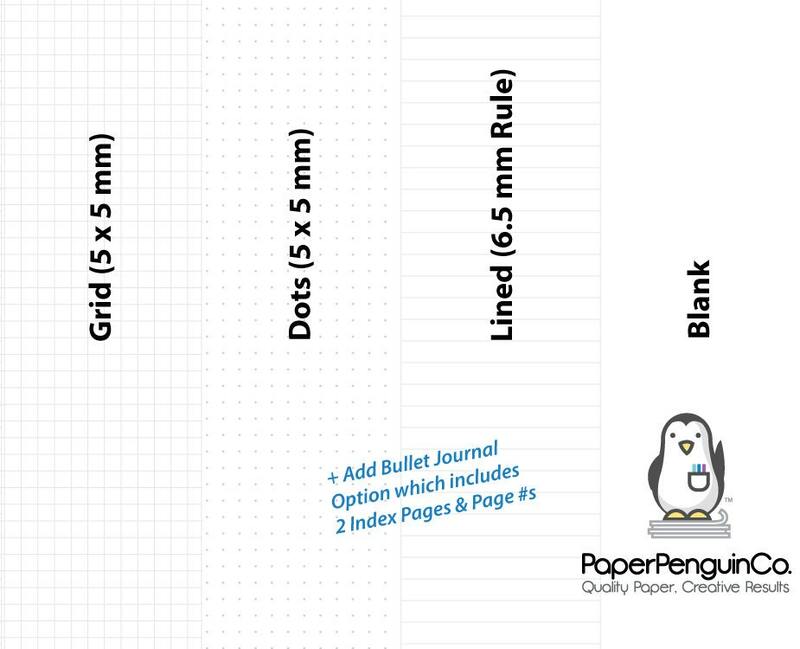 Quality notebook by Paper Penguin: sturdy cover and fountain pen friendly pages. Bullet journal style is just what I needed this year. 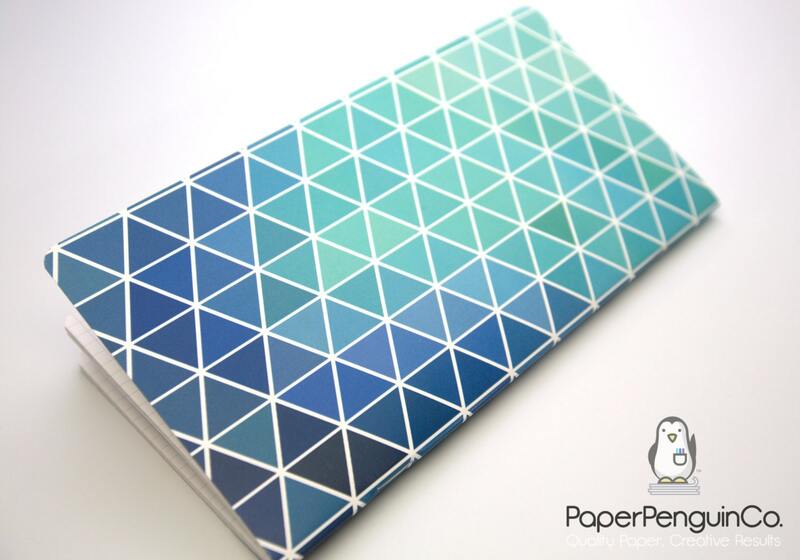 The shades of blue, green, and aqua are my favorite color pallette.